If you would like free access to pdf files of items published in the Leibniz Review prior to the latest three volumes, you may find them here. If you would like access to the most recent three issues, either encourage your library to subscribe (hard copy or online) or become a member of the Leibniz Society of North America. 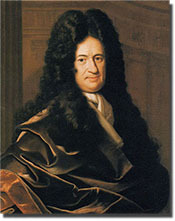 Membership information for the Leibniz Society of North America and table of contents for past issues of the Leibniz Review.